You can increase the wild space around you by being a personal rewilder. There are a number of simple ways of making your local patch a little wild haven. The space could be your garden, playground, window box or unloved grass verge. If we work together on small areas it adds up to making a big difference. Plant native plants and non-invasive nectar rich plants. These are much better at supporting a wide range of insects, which in turn support birds, mammals, amphibians and reptiles. Remember to only use peat free compost when planting. Read the RSPB's wildlife gardening advice. Create a pond. Even a small pond massively increases the biodiversity in your garden or school. If required, you can buy ponds with child safety grills over them. A child finding their first tadpole in the pond is something magical. Don’t be so tidy! Long grass, log piles and dead wood are fantastic places for all manner of creatures, so leave some ‘wild’ in your garden. Children have become disconnected from nature and instead increasingly spend time gaming, using social media and watching YouTube. Research shows that children in Britain can name more Pokemon species than native species of plants or animals. The problem as described by David Attenborough is that “No one will protect what they don't care about, and no one will care about what they have never experienced.” Our children are the future policy makers and must be given opportunities to experience nature and wild spaces. Rewild a child. Let children explore nature by visiting anything from the local park to the nearest forest or mountain. Make sure your school is using its local outdoor space for learning. There are many benefits for children learning outdoors, from enhancing engagement and creativity to improving health. The Scottish Government’s Learning for Sustainability vision is that every learner should have daily contact with nature. Get involved with the John Muir Award. It is an excellent way of engaging with and caring for nature. You can work towards the award as a family or through schools and youth groups. There is a clear positive relationship between nature and your health. Thus we must see wild space as a natural asset as important as material or money. Nature has therapeutic power by allowing our minds to find a stillness in the parks and wooded glades. The scents, textures and sights of nature soothe our hearts and spirits from the frantic modern technology-driven world. It’s time to rewild our hearts. Get outside and visit your local park, wood or forest. Call a friend and suggest going for a stroll, walk or hike. Leave the gym, and take your workout outdoors. Ecosystems under the sea require stewardship as much as those on land. Scotland has the longest coastline of the British Isles and Scottish waters make up 60% of the UK’s seas. Uniquely, Scotland neighbours the North Sea, Irish Sea and Atlantic Ocean (with the Arctic Ocean not that far north of Shetland) so we have an essential part to play protecting our blue planet. Always choose to buy sustainable seafood products. Some great information is provided by The Marine Stewardship Council. Support the Scottish Wildlife Trust and their Living Seas project that focuses on marine planning, community engagement and advocacy for Marine Protection Areas. Stop using single-use plastics and support those local stores that have a plastic-free packaging section or aisle. If we continue current usage, there will be more plastic in the oceans than fish by 2050. You could also support Plastic Planet's plastic-free aisle campaign. Mighty oaks from little acorns grow. If we all contribute, together we can make a big difference. 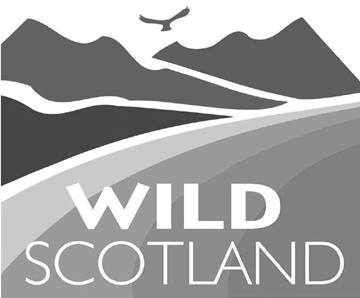 There are many organisations currently supporting, promoting or creating a wilder Scotland. Most rely on donations and membership fees to continue their invaluable work. You could support: Scotland: The Big Picture, Trees for Life, Borders Forest Trust, Scottish Wildlife Trust, Woodland Trust Scotland and The John Muir Trust. Make your finances ‘greener’ by using a bank that has a clear ethical investment policy such as Smile or Triodos. Consider how your purchasing power – whether it’s booking a holiday, choosing an energy supplier, food shopping, or buying a car – can support a sustainable, nature-based economy. Many voices together can hugely amplify the case for a wilder Scotland. If we all reach out to family, friends, companies, local councils and government, our voices can’t be ignored. Speak out and explain to people that Scotland is an ecological shadow of its former self. Tell them that it doesn’t have to be like this and that we can all make a difference by supporting landscape-scale habitat regeneration as well as being personal rewilders. Support nature-based tourism in Scotland. Tell your friends and family, and those you meet whilst on your trip, why you chose a nature-based holiday. Explain that it is because of sea eagles, beavers or Caledonian Forest with red squirrels and pine martens. Enable people to make the link between a wilder Scotland and a healthier, wealthier Scotland. Find out more about nature-based tourism at Wild Scotland. Write or email your MSPs and ask them how they are protecting and promoting the wild land and seas of Scotland. Ask them their views on topics such as habitat restoration, land use and single-use plastic. This simple and quick act really does make a difference. Find your MSP. There is a moral and ecological case for the science-based reintroduction of species that have become extinct in Scotland. White-tailed eagles, red kites and beavers have been successfully reintroduced and are now playing their part as essential members of complex ecosystems. Many people believe that Eurasian lynx should also be reintroduced to the Scottish Highlands. Any successful reintroduction would require the expertise of the scientific community as well as the understanding of the general public and the support of the local community. As rewilding advocates, we can support this process. Write to your MSPs and explain why you support the reintroduction of species that have become extinct in Scotland. Many MSPs will shortly be given a copy of our new book Living with Lynx so your email could be a timely reminder of the views of their constituents. Find your MSP and read more about the possibility of the return of the lynx. Donate to SCOTLAND: The Big Picture. As a social enterprise, we reinvest any financial surplus into our work to amplify the case for a wilder Scotland. Buy our book Living with Lynx from our store. Support Trees for Life and Borders Forest Trust who will plant native trees for you, creating landscape-scale habitat regeneration in Scotland. Alternatively, you can volunteer with these organisations and plant your trees in person and sit in the shade of some already planted. If you have space in your garden, plant native trees, shrubs and plants. Get some advice about which trees would be appropriate for your site. Encourage your local authorities who manage local wild spaces to plant area-appropriate native tree species. Contribute to commercial and community planning applications to ensure that a space for nature has been appropriately considered.